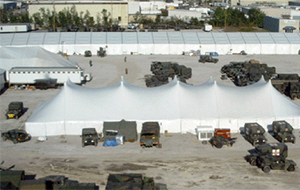 From blast resistant buildings to base camp tents, Tiger has the shelter solutions you need to protect you and your crew from explosives and harsh weather conditions or to provide temporary housing in the event of an emergency. Tiger Industrial Rentals furnishes a variety of buildings for use in the oil and gas industry as well as commercial, industrial and emergency response applications. Tiger’s buildings come in various styles and can be used as housing, offices space, training rooms, restroom facilities, medical clinics and more. 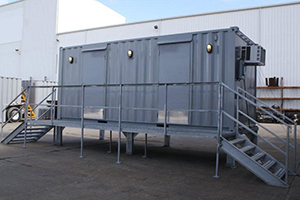 Our blast resistant buildings can withstand the effects of explosions, extreme heat, fire, excessive noise and projectiles from accidents that occur in the field or combative situations. Tiger is the ONLY rental solution that provides blast rated windows as a standard in all blast resistant building sizes. It is proven that natural light improves ones health and mood creating a safer and are more prolific atmosphere. Protect your crew from potential explosions, severe weather and an unproductive environment with Tiger’s blast resistant buildings. Combined with accessories and rental equipment, Tiger can customize a building package to accommodate your requirements for ultimate protection. 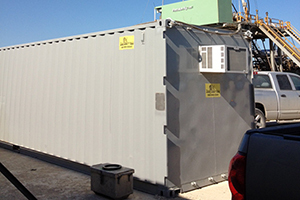 Tiger's blast resistant buildings are used in downstream applications for protection from potential explosions. 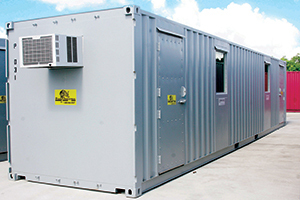 Tiger's safety cool-down buildings offer shelter, office space, meeting rooms and more for upstream applications. Tiger's offers customized solutions to meet our client's specific requirements such as this safety command center. When a disaster strikes, businesses and government agencies race to secure resources to provide temporary housing and facilities for employees or emergency personnel. Tiger has the resources and solutions you need to secure a safe and operational camp successfully. Tiger works with you to create a customized plan for your base camp operations to support as little as 200 to several thousand people. Tiger has experience in organizing camps for oil and gas companies, law enforcement, first responders, military and utility crews. 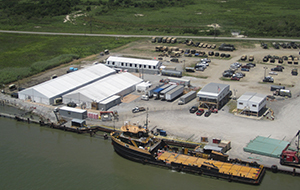 When the Gulf Coast suffered devastating effects from Hurricane Ike, BP turned to Tiger for their base camp needs providing shelter, catering, restroom facilities, safety units, generators and more. Tiger was contracted to support BP Cameron with base camp needs that included shelter, entertainment, work space, safety, port-o-lets, catering and much more. 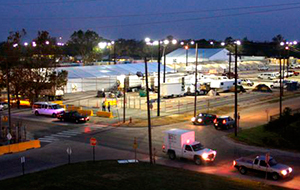 Our 1,200 man base camp in New Orleans housed, fed, showered and entertained soldiers and other first responders involved in the operations after Hurricane Katrina.